Important information regarding school organisation, policy and administration is contained in the Torrens Primary School Handbook. The school motto, "Teamwork and Tolerance", reflects the aims of the school to encourage a spirit of cooperation and community while fostering respect and understanding for all. Torrens Primary School student management procedures are based upon these principles. 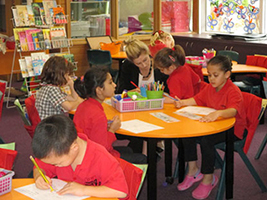 Teachers regularly monitor their programs to ensure positive behaviour outcomes for their students. 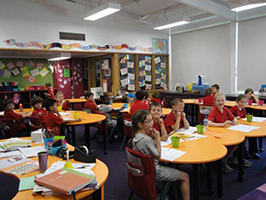 When normal classroom strategies such as redirection through questioning have not resulted in appropriate behaviour choices, additional steps such as time out in class, time out in another classroom and time out with the executive staff, are implemented. Children are encouraged to wear hats when spending time outdoors. 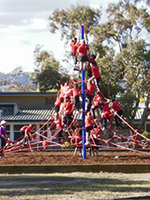 Wherever possible, the school aims to minimise outdoor activities between 11.00am to 3.00pm. Parents are encouraged to apply SPF 30+ sunscreen on their child daily and to send each child with a broad brimmed or bucket hat. The school applies a 'no hat, no play' policy. Students are not permitted to bring these items to school. It is suggested that all expensive and attractive personal items remain safely at home. Voluntary Contributions are an additional financial resource benefitting all students. 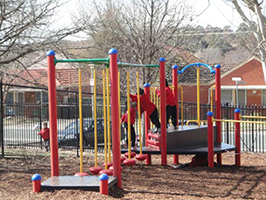 At Torrens Primary School the School Board approves the contribution amount for the primary school and preschools. The payment of this financial contribution is voluntary. The Education Act 2004 states that your child will not be refused benefits or services if you do not choose to contribute. Individual records of contributions are confidential. If a student is absent from school, a note must be sent to the class teacher, or a telephone call made to the school giving the reason for the absence, or you can email the school at admin@torrensps.act.edu.au. Alternatively, you can go to the Front Office and they will mark the online roll accordingly. If your child arrives late (after 9.30am), you will need to check in at the Front Office where the roll will be marked accordingly. All parents wishing to pick up students early from school or during school hours (eg. for an appointment) are required to sign their child out at the Front Office and collect a 'Permission to leave school grounds' note (green note) to give to teachers. You may also be required to provide photo id if the Front Office staff are unfamiliar with you as a parent or carer. Please note that if you are picking a student up from school, you will need be on the emergency contact list otherwise Front Office staff will need to contact the student's parent to gain verbal permission.